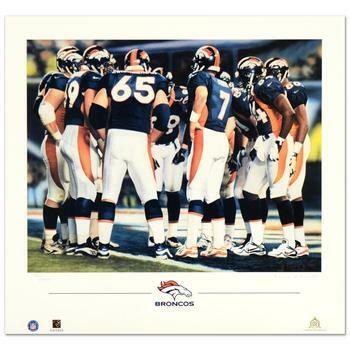 Daniel M. Smith, "The Huddle VIII (Broncos)" Limited Edition Lithograph, Numbered and Hand Signed with Certificate. 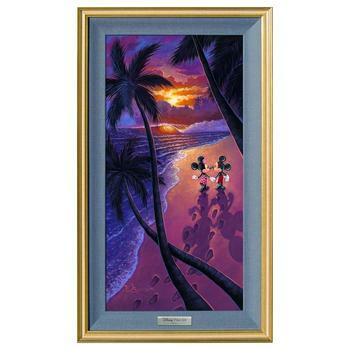 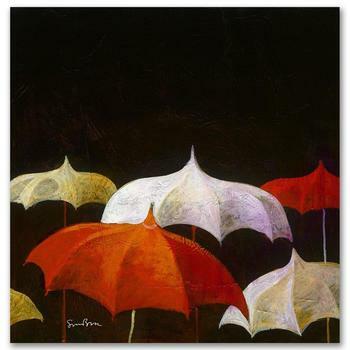 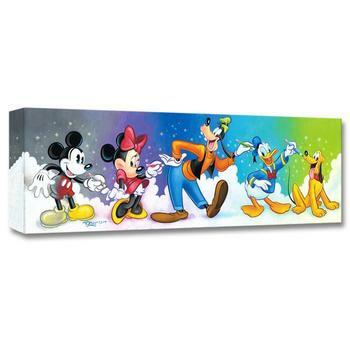 "Friends by Design" Limited edition gallery wrapped canvas by Tim Rogerson from the Disney Treasures collection. 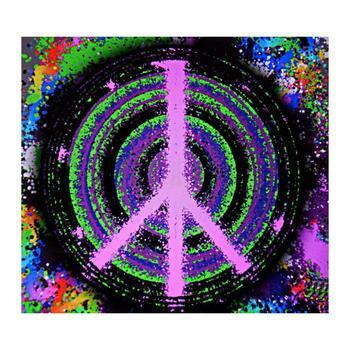 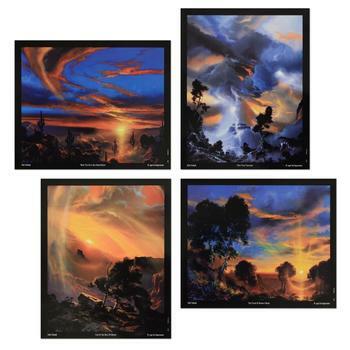 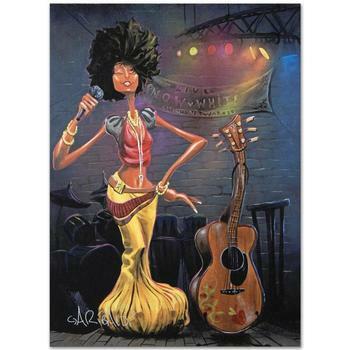 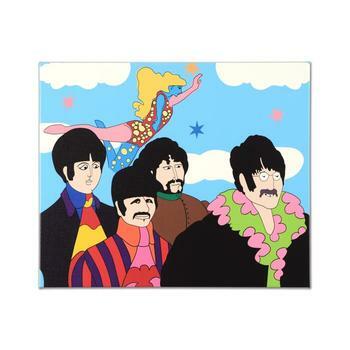 The Beatles, "Lucy in the Sky" Limited Edition on Gallery Wrapped Canvas, Numbered with Certificate of Authenticity. 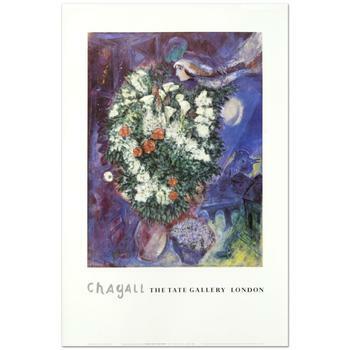 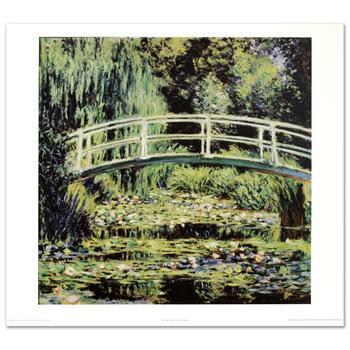 Monet (1840-1926), "White Waterlilies" Fine Art Print, Using EncreLuxe Printing Process. 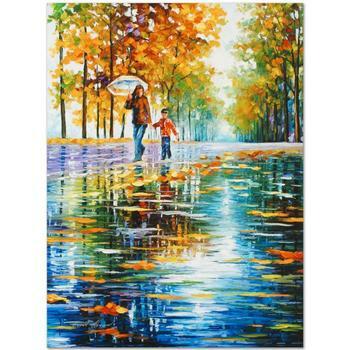 Leonid Afremov "Stroll in an Autumn Park" Limited Edition Giclee on Gallery Wrapped Canvas, Numbered and Signed; COA. 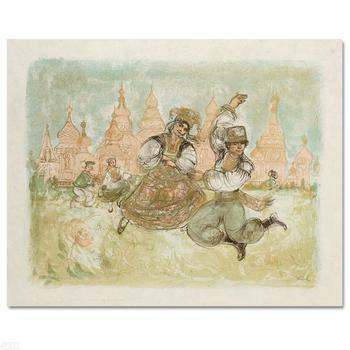 Edna Hibel (1917-2014), "Russian Dancers" Limited Edition Lithograph, Numbered & Hand Signed with Certificate. 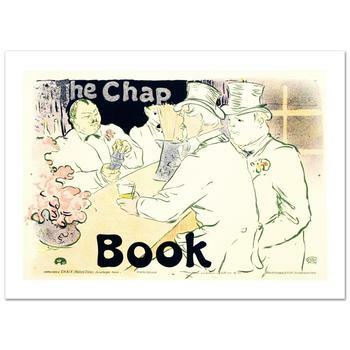 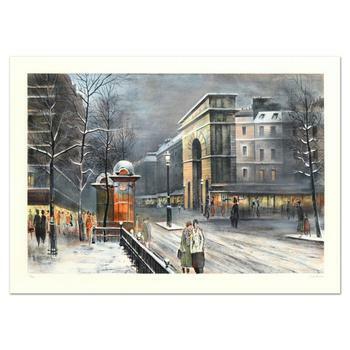 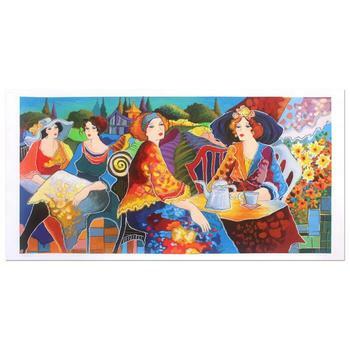 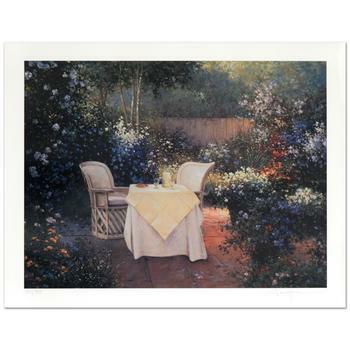 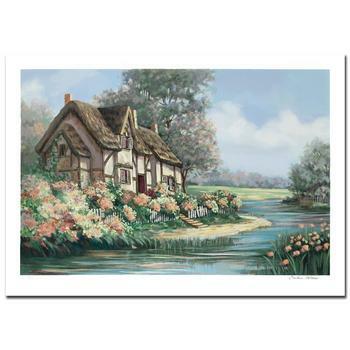 Earlene Moses, "Springtime in Sheffield" Ltd Ed Serigraph (36" x 24"), Numbered and Hand Signed with Cert. 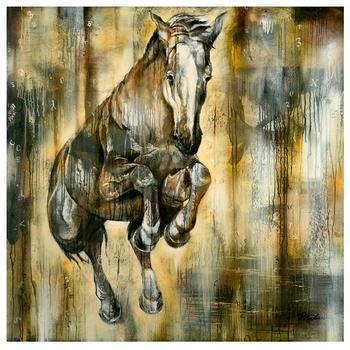 John & Elli Milan, "Suspended" Original Mixed Media Painting on Canvas with COA. 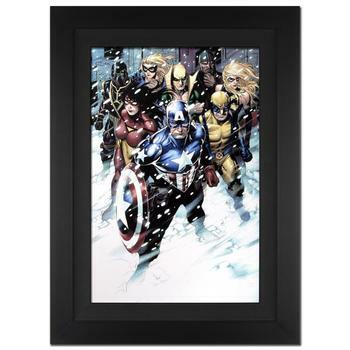 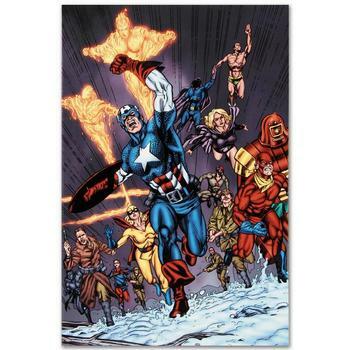 Marvel Comics "Avengers/Invader #11" Numbered Limited Edition Canvas by Steve Sadowski; Includes COA. 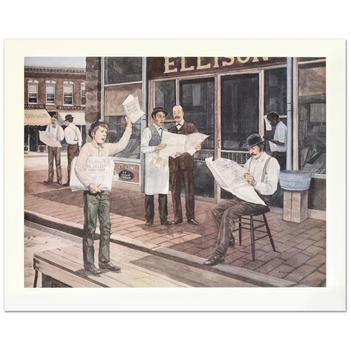 William Nelson, "Custer Killed" Limited Edition Lithograph, Numbered and Hand Signed by the Artist. 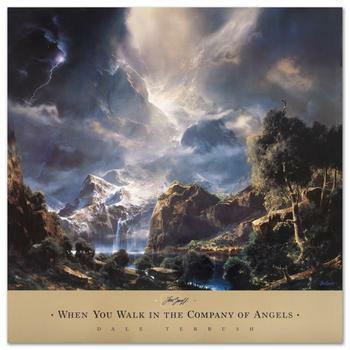 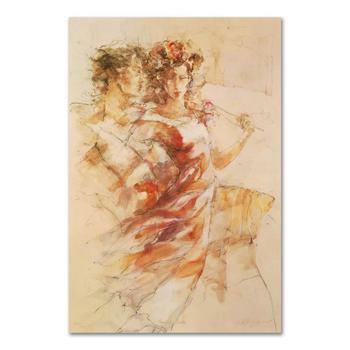 Gary Benfield, "Heavenly Dance" Limited Edition Serigraph, Numbered and Hand Signed with Letter of Authenticity. 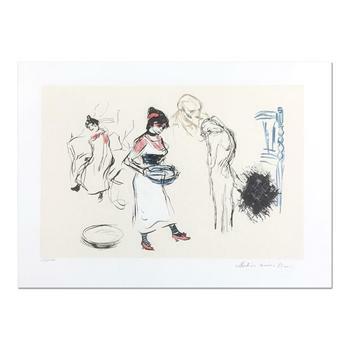 Picasso (d. 1973) - Ltd Ed Lithograph, Hand Signed by Picasso's Granddaughter, Marina Picasso with Certificate. 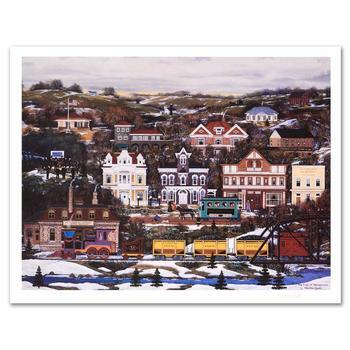 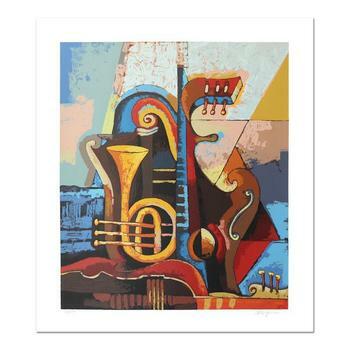 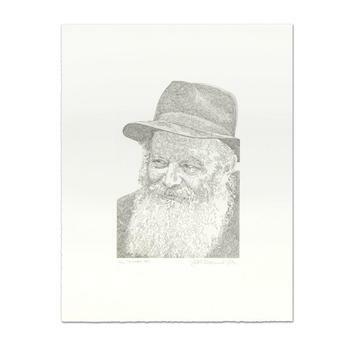 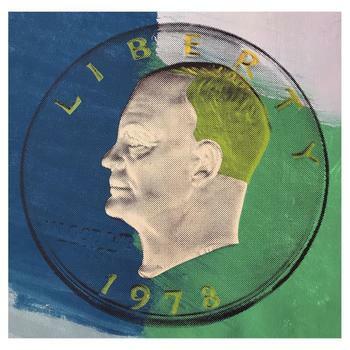 Jane Wooster Scott, "Pride of Pennsylvania" Ltd Ed Lithograph, Numbered and Hand Signed with Certificate. 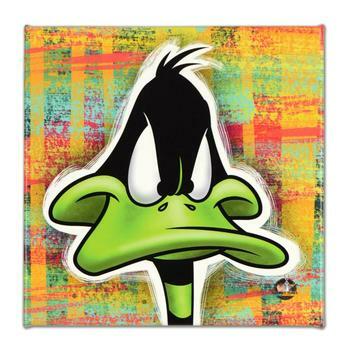 Looney Tunes, "Daffy Duck" Limited Edition on Gallery Wrapped Canvas, from an edition of 500 with Certificate.